We all have been advised to drink more water i.e. minimum 8 to 10 glasses per day. However none tells us how to ensure that we drink more and more often. Lets explore out – How To Drink More Water In A Day? Water is the essence of life, the fluid which every cell of our body needs to survive and work properly. Whether we want shinier hair, healthy and younger looking skin or a healthier body, pure clean water is the world’s best health and beauty elixir. We should be drinking it more often to get the maximum benefit and keep ourselves hydrated in the hot and humid summer months. So to push ourselves in drinking water more often, here are the ways. We, by default of human nature like our ambience to be organised and systematic, suiting our day to day preferences. Similarly, more intake of the fluid, called water synergises and balances the internal organs and cells of the body and activates them to perform their cut out tasks more efficiently. Moreover, the central processing unit of the human body, called the brain works in an efficient way in the presence of ample body fluids enhanced by the intake of water. Carry a cute water bottle to your gym or chic pitcher to your work to make drinking water more appealing and stylish. People, across all continents like their food tasting best which they always like to have and the easiest thing is to flavour it according to the taste buds. Similarly, if drinking plain water makes it boring and irritates you, you can always add flavours to it like mint, lemon, raspberries and water melon to suit your tongue and effectively increase your water intake daily. As in Chinese cuisine, soups are considered to be an appetiser and is always served before the main course to prepare the stomach for effectively digesting the food; Similarly, you can always treat water as an efficient appetiser and drink it in small quantities before every meal so that the food you eat is readily digested by your digestion system and also cutting down the total food intake. 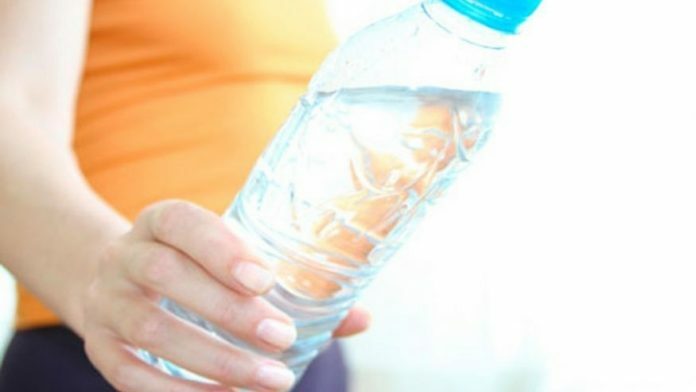 Whenever you feel like snacking, drink water and give it a thought whether you are really hungry or not, by doing so you will cut down the unnecessary intake of calories. As a tech geek, people today are more into gadgets and apps to plan and organise their daily routine. Similarly, applications are now available for tracking the intake of water in a day and is a good measure to monitor the daily fluid intake and keep you sufficiently hydrated the entire day. You can always set alarm or install water apps in your mobiles after every thirty minutes as a reminder for drinking water at regular intervals and also to check on the total water intake for the day.